What can you get done in 5 minutes? Watch 50 Vine videos before they disappear...somewhat impressive. What about if I said you could work together with 1-4 friends, then what could you guys get done in 5 minutes? 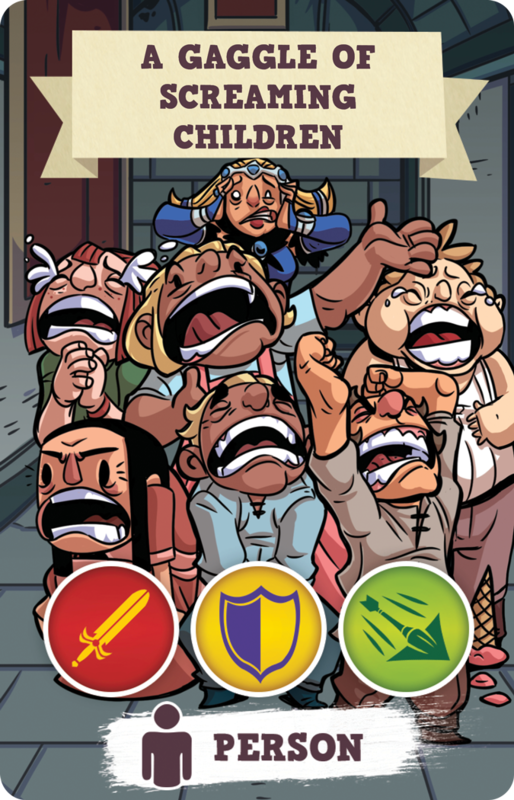 Perhaps, just maybe, if you play your cards right you could defeat a Baby Barbarian in just 5 minutes. 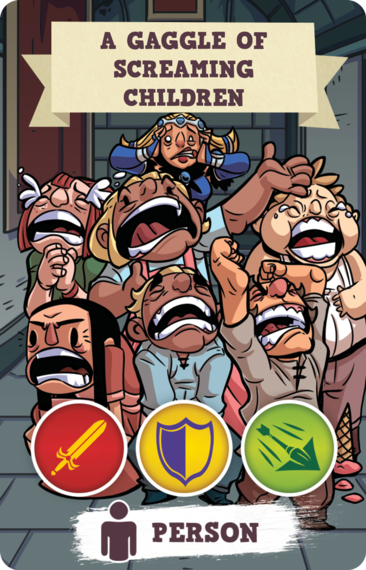 Launching today on Kickstarter is 5-Minute Dungeon, the co-op card game from award winning game company Wiggles 3D. To find out if 5-Minute Dungeon was something you might want to support on Kickstarter, we spent the last week battling Baby Barbarians, Freakin' Dragon, A Cactus That Wants A Hug, A Shark With Legs and more. 5-Minute Dungeon successfully pulled off the gaming hat-trick - engaging gameplay, the right dose of humor and beautiful artwork. We had kids play, adults play, kids and adults play...I almost got my cat to play. Whatever the combination of players, everyone always had fun. 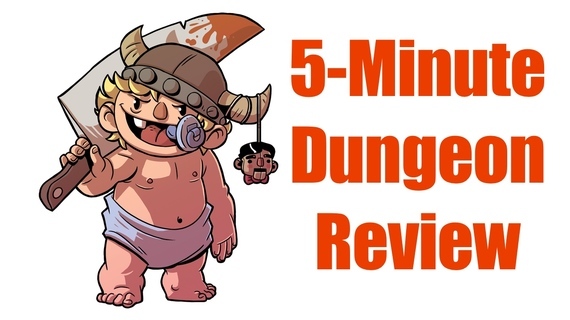 The fast paced, no turns way that 5-Minute Dungeon is played keeps everyone involved. While the video above shows how the game is played, the basic idea is that you and up to 4 other players are trying to work together to defeat a dungeon boss in 5 minutes. You choose up to five heroes to battle monsters, overcome obstacles, and finally defeat the dungeon boss. If you guys do defeat the Baby Barbarian in 5 minutes, that is impressive, but your quest is not done. There are four more dungeons to defeat, each more challenging than the last, with the final dungeon requiring precise skill, speed, and strategy to defeat. With no time to form a carefully-considered plan, and no predicting what dangers lie ahead, communication and teamwork are the name of the game, crucial to surviving the 5-Minute Dungeon. We spend so much of our life behind screens and communicating electronically, you can almost forget you have a voice and hands that can do more than just peck away at a keyboard. One of the things we loved about 5-Minutes Dungeon was getting away from our screens, playing with physical cards and actually talking, screaming and working together to try to win or lose as a team. We love that players of all ages and all skill levels can play together and still have a great time playing 5 Minute Dungeon. In the end, 5-Minute Dungeon provides exactly what they promise - 5 minutes of fun with friends and family...and who wouldn't want that?